These high levels of startup torque are immediate and jarring, which result in a shock load or torque spike through the truck’s hydraulic system, causing wear – and potentially damage – to the power take-off, transmission and driven mechanical components. When a load is engaged with high levels of torque, or too much torque, it has also been known to cause the engine to stall out on Ford Super Duty chassis with gas engines. Over time these shock loads and high torque levels take their toll, resulting in a shorter lifespan for the truck’s hydraulic system, further downtime and greater expense. The technology used within Muncie Start®, the latest solution to reducing startup torque and allowing for a gradual engagement of the power take-off’s clutch mechanism, consists of a custom, PWM – pulse width modulation – electric module and a proportional solenoid valve. Key to this technology is the custom electric module that proportionally shifts the valve that controls the clutch pack engagement. Instead of the valve abruptly going from fully closed to open, as is the case within traditional systems, the electric module communicates to the valve by playing back what is called a profile. Each ramp profile is customized or tailored to the power take-off depending on the type of clutch used to ensure the smoothest engagement possible. This profile controls the current to the valve, instructing it to progressively open and thus – gradually increase the pressure within the clutch pack. The gradual increase results in a ramp up in torque, reducing the startup torque and – in a controlled manner – allowing the clutches to get up to speed before coming together for a smooth engagement. Endurance testing on the engagement has shown up to 5,000 cycles without any wear above normal operation. An easy way to think of the electric module is like a dimmer switch for a lightbulb – as Senior Design Engineer Brian Perry pointed out in The Engineering Behind Muncie Start – as it controls the flow of oil into the clutch piston from low to high, gradually increasing. A traditional system without this technology, on the other hand, is more like a standard light switch that simply turns the lightbulb on or off as the release of oil from the valve into the clutch piston – as Perry explained – is abrupt and at full bore immediately once the valve has been opened. With the use of the electric module, it requires that a proportional solenoid valve be used for proportionate engagement of the clutches; although, the power take-off’s casting remains the same as a power take-off without Muncie Start. The technology used within the new Muncie Start solution has been adapted specifically for the work truck industry and has solved an issue that has long plagued operators of work trucks with high-inertia or heavy loads. 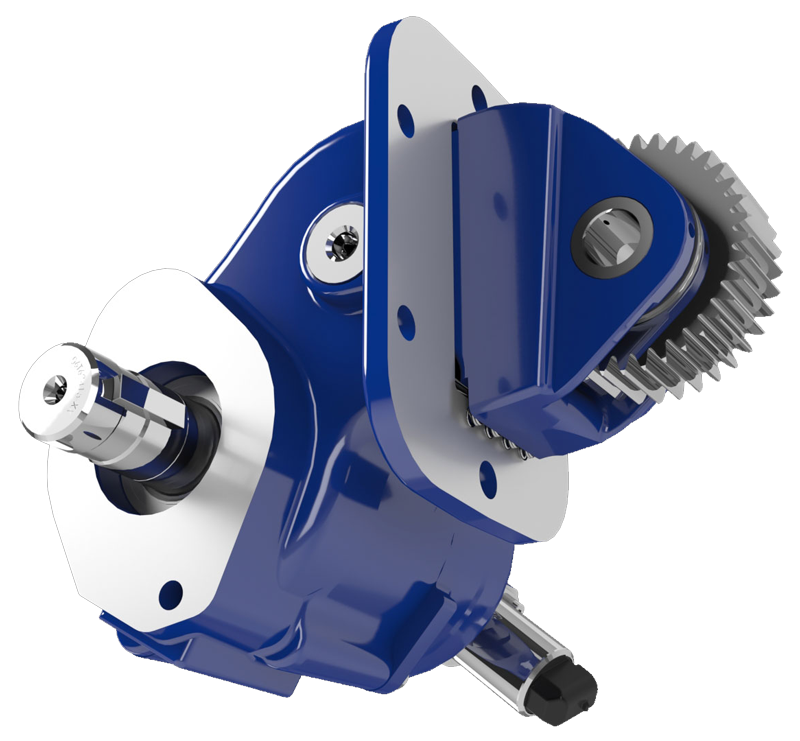 As the latest solution to reducing startup torque for a smoother engagement, Muncie Start’s technology increases the life of the power take-off and other driven mechanical components. PWM: PWM stands for pulse width modulation and is one option that can be used for controlling the power distributed to an electronic load. This option is carried out by sending a square wave at varying duty cycles to the device. The duty cycle of the square wave controls the amount of power distributed. Electric Module: The electric module is what allows for the smoother engagement of the power take-off as it controls the current to the solenoid. By controlling the current to the solenoid, the electric module ensures that the engagement of the power take-off is not instantaneous, but a gradual ramp up. The module is a small box installed between the power take-off’s on/off switch and the solenoid controlling the power take-off. Profile: A profile is like a pattern that contains the explanation or instructions for the gradual ramp up in engagement of the power take-off. The ramp up in engagement is not identical for each power take-off and can be altered, so multiple profiles can exist. A profile is sent from the electronic module to the valve, denoting set points and times to create a gradual ramp up in engagement. Click here to go to the FR6Q's product page where you can download the brochure and/or installation instructions (under the literature tab) for Muncie Start® – available for the FR6Q and Titan® MC1.